Jewellery, as a form of adornment, dates back to prehistoric times when shells, feathers, stones and bones were used to ward off evil spirits and as a mark of rank. The discovery of how to work metals was a revelation in the production of jewellery and designs became more and more intricate. Gold was highly valued as a precious metal from an early time and pieces were often buried with the dead to accompany them into the afterlife. These fascinating items now provide much archaeological information . During the Medieval period (1200 - 1500) jewellery was used to denote rank and status.Â Royalty and the nobility were able to afford precious metals and stones where the lower ranks of society wore base metals such as copper and pewter. At this time, stones were polished rather than cut and their value was determined by their size and lustre. Enamel (ground glass fired at a high temperature onto metal) was highly valued and provided colour. 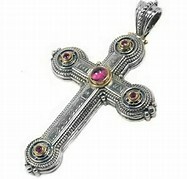 The Renaissance period (1500 - 1700) saw more elaborately Â jewellery being produced and demonstrating the increased importance of religion in everyday life. 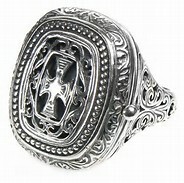 Stones were used as amulets to cure ailments and to encourage characteristics such as bravery. The mid 17th Century saw styles becoming more delicate as global trade made gemstones more available and advanced techniques were able to cut these to display to advantage. 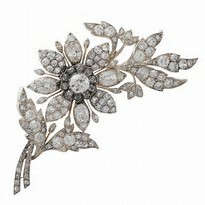 Diamonds became more popular as the brilliant-cut with its multiple facets ensured the production of sparkling items. Unfortunately very few of these have survived as they have been re-set into more fashionable pieces. An interesting development of the mid 18th century was the production of heavily decorated small swords for gentlemen. 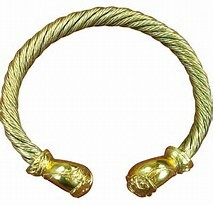 Used as male jewellery they were fashioned by jewellers and goldsmiths rather than swordsmiths. They were used to denote status and were often given as rewards for distinguished military and naval service. The 19th century encompassed much of Queen Victoria's reign where naturalistic jewellery depicting flowers and foliage was popular. 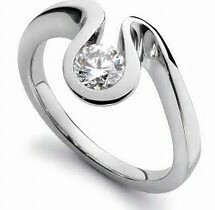 Symbolistic jewellery spelt out messages in the design or stones used. 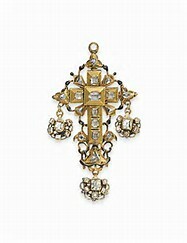 The latter part of the century featured much mourning jewellery after Prince Albert died in 1861. This was the start of jewellery being available to lower classes as the industrial revolution enabled the production of mass produced items. Art Nouveau, influenced by nature, was very popular at the beginning of the 20th century and used materials such as glass, horn and enamel. The 1920â€™s and 19230â€™s saw the popularity of Art Deco with its sharp geometric patterns. Modern techniques and the availability of a variety of new materials, such as plastics, has ensured that jewellery is now able to be designed and produced to suit all tastes and budgets.